The smile that crossed my face when reading the local bird reports this morning was a celebratory one … an old friend of sorts has returned! 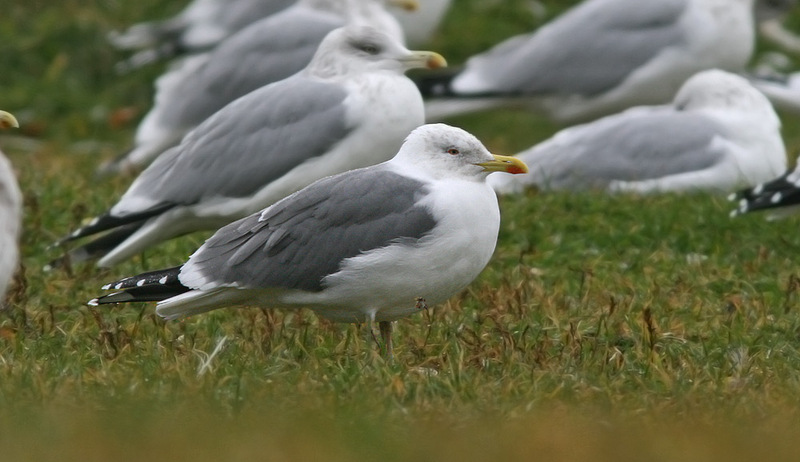 Although I haven’t seen it yet myself, Bruce Mactavish spotted an adult YELLOW-LEGGED GULL sitting in a flock of gulls on a familiar field in Pleasantville (St. John’s) this morning. 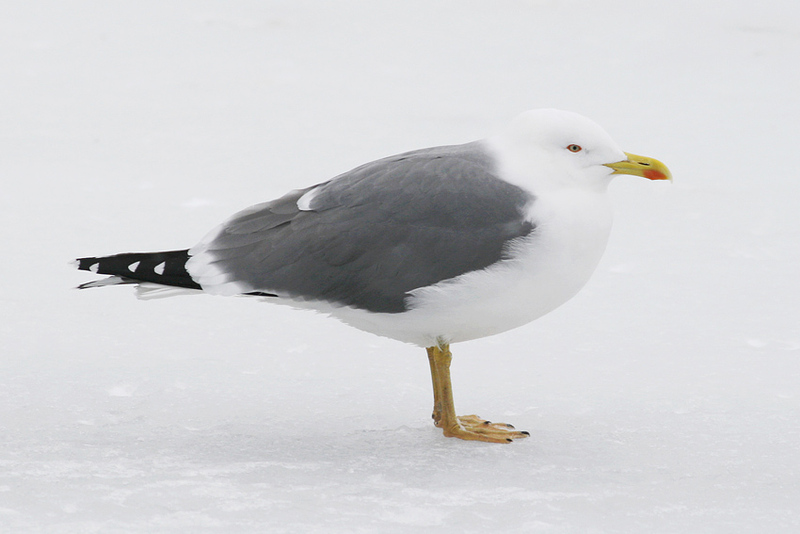 Yellow-legged Gull (this adult photographed in February 2010) was a rare but regular fixture in St. John’s every winter for more than a decade … however it had been almost two years since the last sighting. Until this morning! 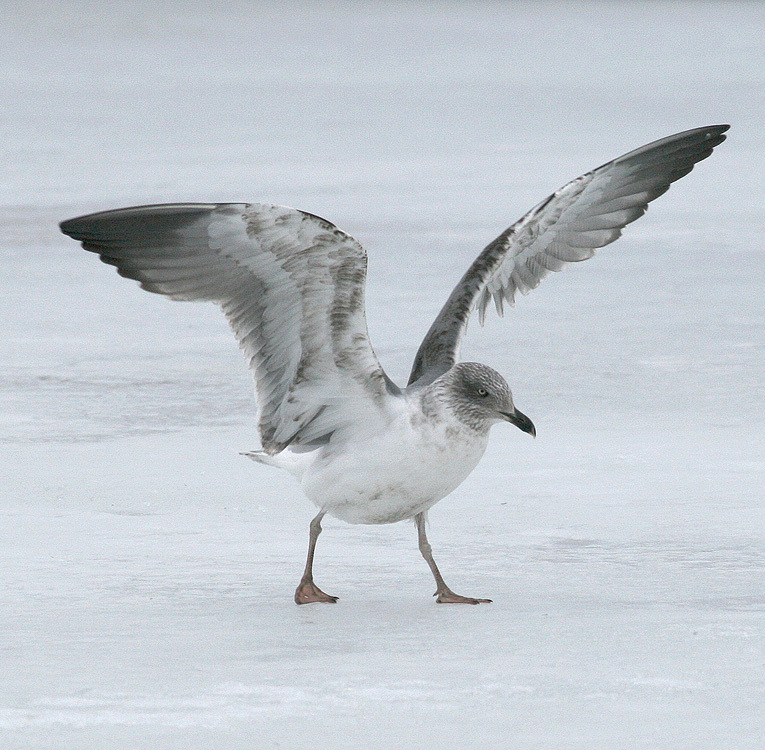 Most Yellow-legged Gulls recorded in Newfoundland have been adults, although this intriguing immature gull is considered by many to have been a second-winter Azorean/Atlantis Yellow-legged Gull. Birders (and especially the few of us that consider ourselves gull fans) in St. John’s have been spoiled by this species the past dozen or so years. Yellow-legged Gull is a European species that occurs primarily in the eastern Atlantic/Mediterranean and is a very rare wanderer to North America (ABA Code 4). Yet, at least one has shown up here every fall and/or winter since the late 1990’s — enjoyed by local larophiles and a draw for many visitors, listers and even bird tours.There have been as many as three recorded around the city some years, and one usually hangs out for the entire winter. It can be tough to find sometimes amongst the tens of thousands of large gulls that winter here, making it elusive but well worth the hunt. St. John’s has been the only place in North America where this species could be seen regularly and (somewhat) reliably! 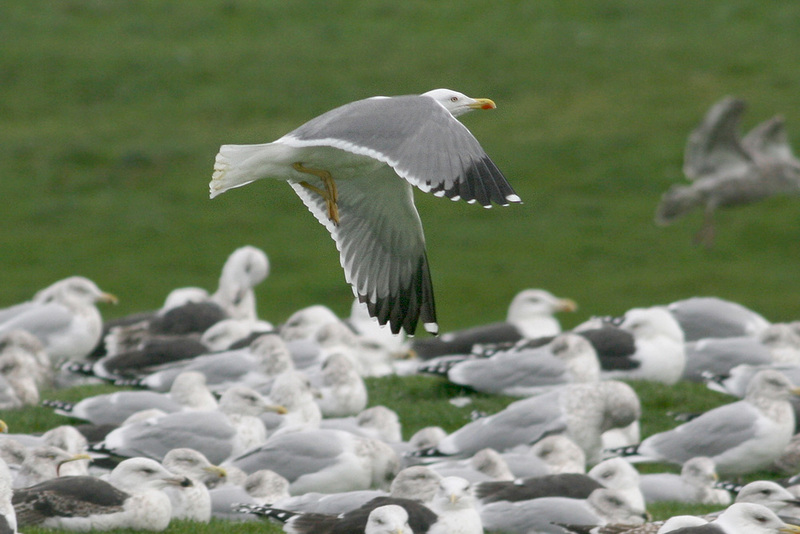 The majority (if not all) of Yellow-legged Gulls seen here have been theorized to originate from the Azores, where the Atlantis race has a slightly darker mantle and unique pattern of head streaking in fall/early winter. However, something changed two winters ago (2011-12) — an adult Yellow-legged Gull showed up in early fall as expected, although sightings were sporadic and it often went long periods not being seen. 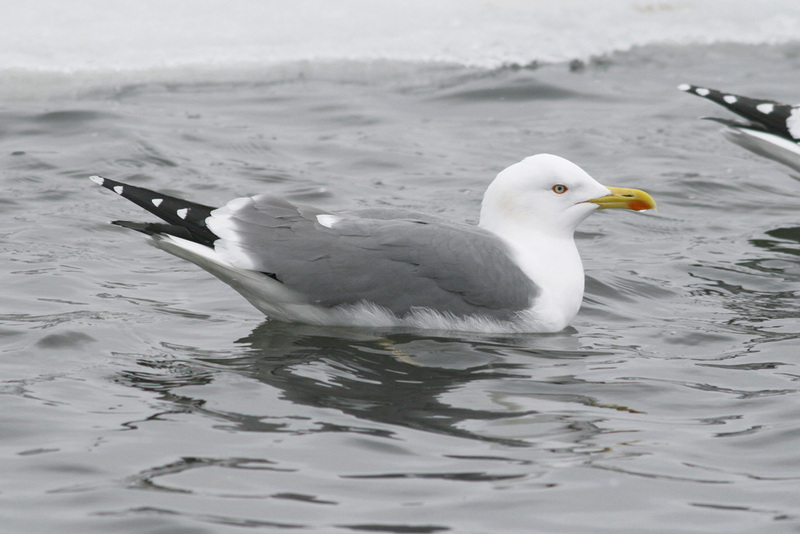 Then it disappeared altogether – the last known sighting was on January 15, 2012 when I photographed it bathing with other gulls in some open water at Quidi Vidi lake. Despite lots of searching, often by experienced eyes, it was not seen again that winter. And for the first time in more than twelve years, the species was not recorded in Newfoundland at all the following fall or winter. We were worried!! Hopefully this bird settles in and stays for a while … certainly there are people out there (near and far) who would love to enjoy it. I know I would, and I’ll be looking every chance I get! Sometimes it takes experienced eyes to pick out and safely identify a Yellow-legged Gull. Although they can be distinctive among a flock of more typical gulls, there are a few hybrid possibilities that need to be eliminated. The clean white head in winter (or unique pattern of head streaking in fall; see above) and wingtip pattern are important clues to picking out this North American rarity. No doubt about it — It’s a classy looking gull! This entry was posted in Uncategorized and tagged Identification challenge, Larus michahellis, Newfoundland, rare bird, St. John's, Tours, Yellow-legged Gull. Bookmark the permalink.